Slimming world this week, well you surprised me! After last week and going to weigh in on Friday and then having to go again after the weekend to get back on track with my Monday group. I liked the Friday group but the Monday group is where my heart is. It's like a little social group, we get quite a bit of banter going. So you could have knocked me down with a feather when I went to be weighed on Monday and I had lost another 2 and a half pounds. losing 2 and a half pounds in 3 days was awesome. I really didn't expect it at all, but it makes it worth going every week. 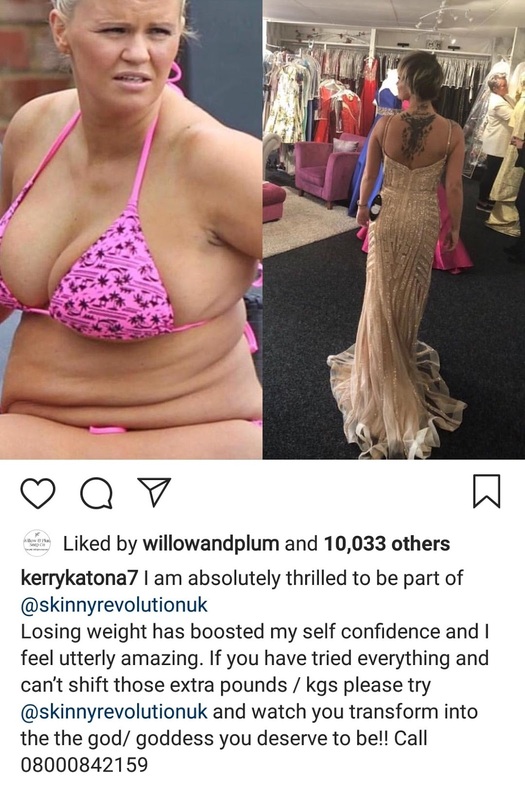 The thing that got me wound up this week was Kerry Katona advertising a weight loss programme called Skinny Revolution. She had used pictures of herself when she was at her largest weight and claimed that this Skinny Revolution had helped her to lose weight. The truth of the matter emerged in her Instagram account that she had in fact lost that weight through Herbalife and had used the same large picture when she lost the weight then. It eventually emerged that the Skinny Revolution is not a healthy eating diet, it is, in fact, an appetite suppressant that you get injected with and then sent off on your merry way. 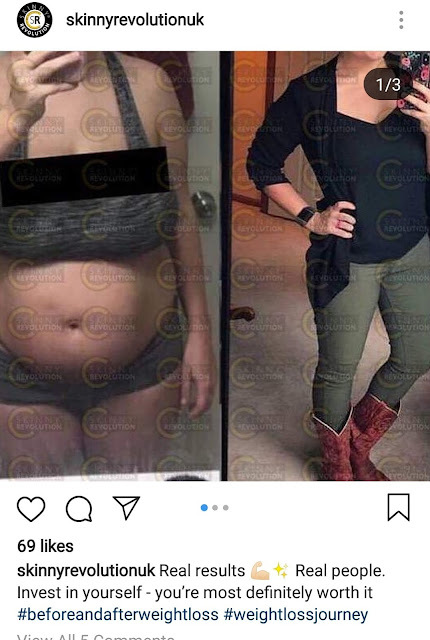 How is this teaching you to lose weight? It is offering you a quick fix if you can afford it. Skinny Revolution is also using pictures of pregnant women and saying they have lost weight using the weight loss scheme. So this got me to thinking that every single one of us that has lost weight through Slimming World should be proud of our achievement, whether you have lost 3lbs or 5 stones. We have educated ourselves to eat healthily and control the amount of bad food that we eat. Before started slimming world I could easily eat a huge bar of dairy milk chocolate, you know the ones that cost £1 or £1.50. These days I know I don't need that chocolate and I am happy with a Mini Mars Bar and then I don't eat chocolate for days. Before Slimming World, I would have a bag of sweets out the back at work and I would go out the back and have a sweet, so over an 8-hour shift, that was a lot of sweets. Now I keep a packet of cherry tomatoes out the back and if I want something sweet, I eat a cherry tomato. They're also speed foods so it is an excellent food swap. 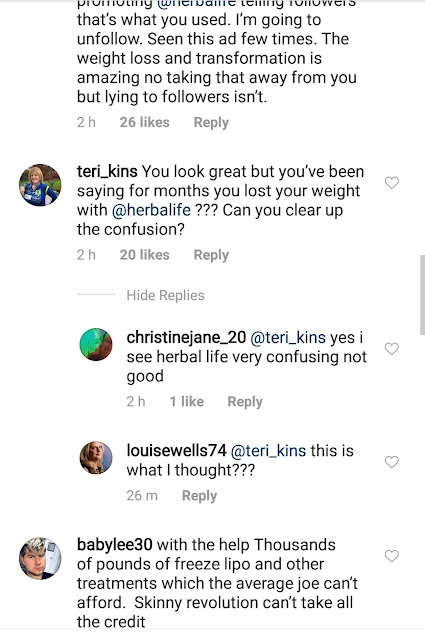 Who needs an appetite suppressant when you can come to slimming world and actually learn how to make choices because even though these other people might be being injected with appetite suppressants, they do not learn how to eat healthily and they certainly do not have the Monday group behind them. When you stop using appetite suppressants, you start piling the weight back on because you haven't taken the time to learn how to eat sensibly. I had some pictures this week and it was fun to do, it was only me and Matilda taking the photo's but I popped one next to a picture that was taken in September. In the pictures, you can see how much I slouched as I stood there and how badly fitted my bra was! BUT I will never say I was ugly when I was bigger, I will never say I hated myself because I didn't. I am still the same person as I was before I started with Slimming World. I don't really know why I walked through those doors on my first day, I think I just wanted to get healthier for Tilly. The school run was draining me and it was less than a mile to school. 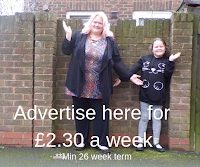 I wanted to find it easier to keep up with Tilly and since being a member of Slimming World, I have had more energy. So things I learnt this week. That the Slimming World cookbooks are excellent value and so easy to cook from. That celebrities will sell their souls for a quick buck! 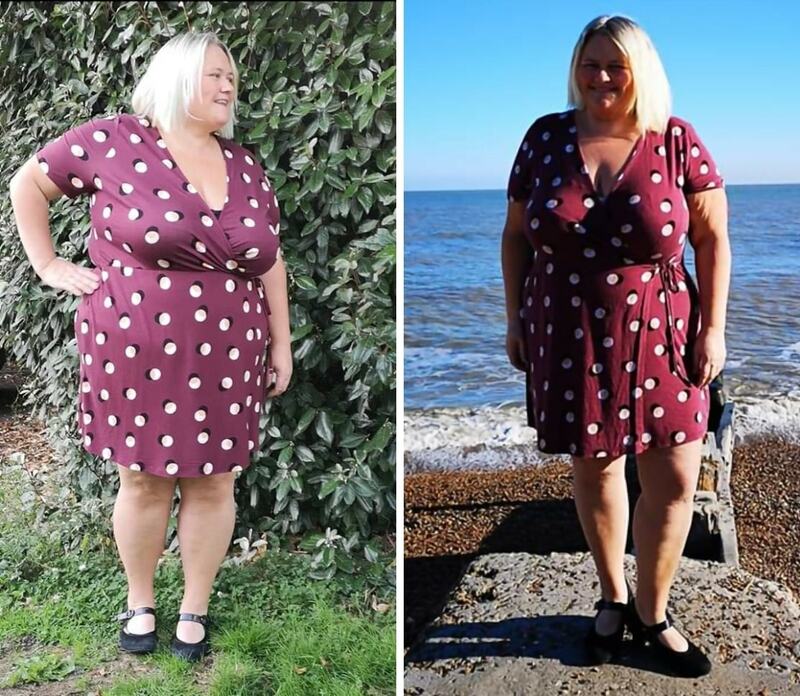 That I fit into a size 22 from Asda, I had my eyes on a skirt and refused to pay £14 for it in case it didn't fit for long and it was too small anyway. But it was in the half price sale, so I snapped it up. That my face is more wrinkly now that it isn't so chubby, the fat in my face would stretch the wrinkles out. 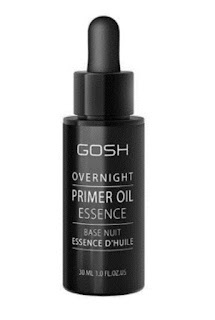 Now I can see the wrinkles coming, so it's time to start using the face creams!